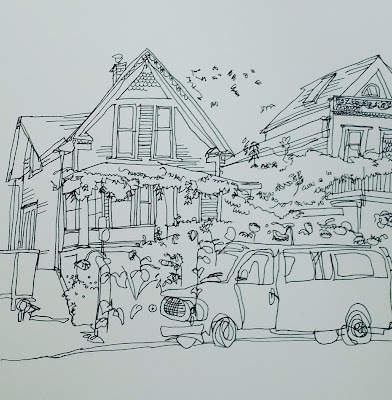 The USk board is pleased to invite urban sketchers to submit sketches for an upcoming USk group exhibition at Ave Maria University in Ave Maria, Florida, USA. 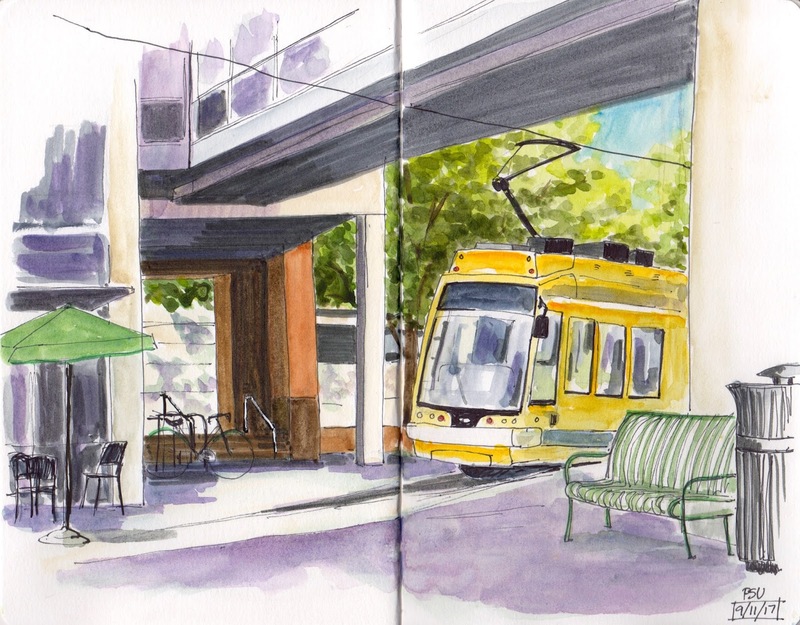 The university seeks images that portray the motto of Urban Sketchers—we show the world, one drawing at a time. The exhibition will run from November through February 2018 in the Canizaro Exhibit Gallery at Ave Maria University. This exhibit is one of several that will celebrate the 10th Anniversary of Urban Sketchers. Please submit up to three images that highlight life in your neighborhood/city/country. International Deadline: 4 October 2017 23:59 CDT. Here is the sketch I did from Slabtown this weekend. 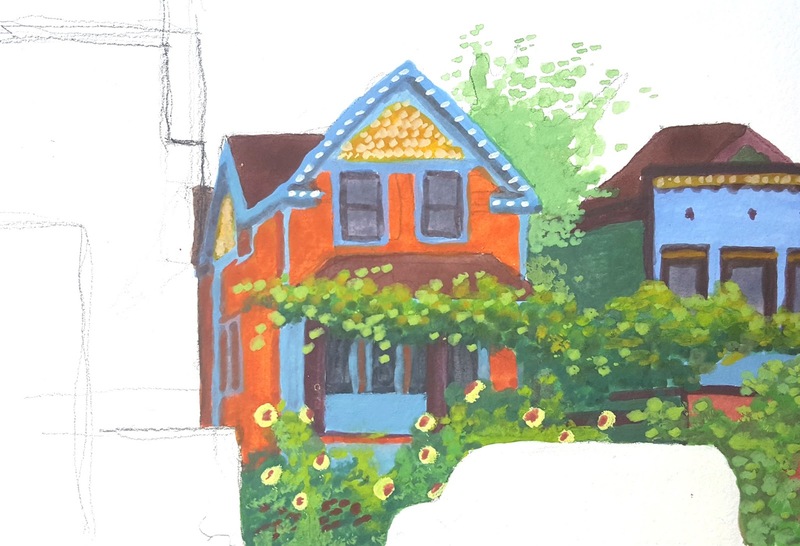 I'm really happy with how the gouache paint colors turned out. I used Talens 24 color opaque watercolor gouache tin from Blick and a pencil to layout shapes. Let's sketch the Lone Fir Cemetery! Seems appropriate for October. There may be some nice fall colors. And if it's rainy there are some little shops nearby on Belmont that people can duck in to. We will start and end in Rocking Frog Cafe. 10:00am - Meet at Rocking Frog Cafe, 2511 SE Belmont St, Portland, OR 97214, for introductions, coffee, and snacks. 10:30am - Sketch around the Lone Fir Cemetery or on Belmont. 12:00noon - OPTIONAL sketchbook sharing and lunch back at Rocking Frog Cafe. I came late to the party. We had a nice turnout with a good number of new people. Welcome to all of you! 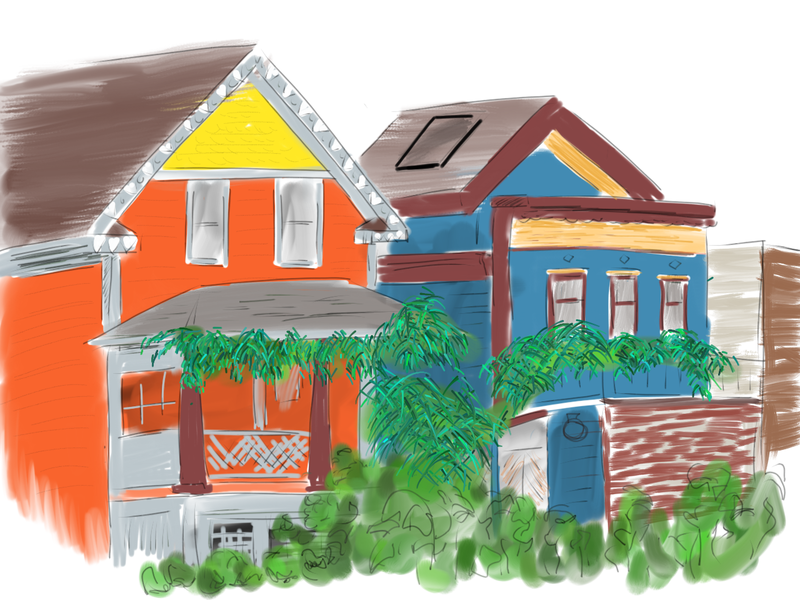 Like quite a few other people, I sketched these 2 adorable houses. Still planning on adding color sometime soon. We met in my neighborhood, at New Seasons. 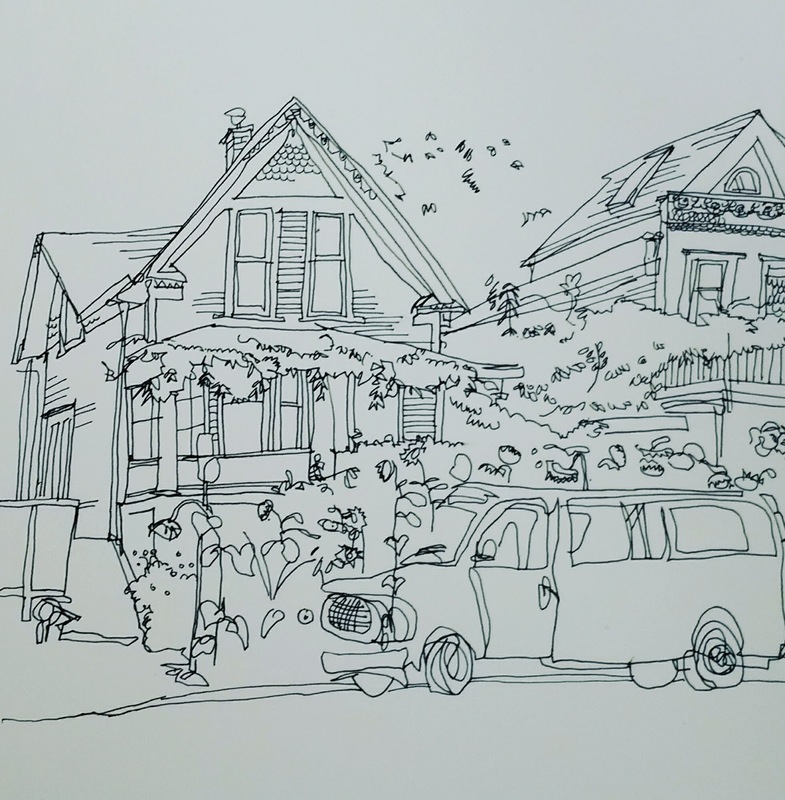 I'd been admiring the two funky old houses on Quimby for a while, and decided that I should sketch them. Today, before the weather turns bad or they're torn down and redeveloped. 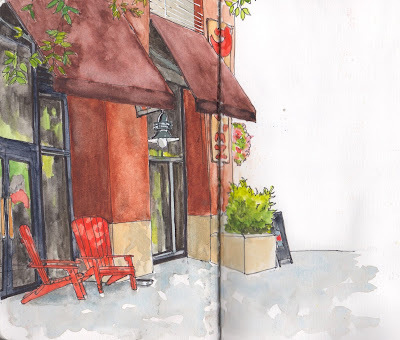 I've been struggling for a long time to make my watercolor sketches have more contrast. It seems to take lots of layers and I don't always have the patience for that. On the bottom sketch, I eventually got out my gray markers and pushed it farther to the dark side. I know some people have special mixes for the darkest of darks. Do you have any favorite combinations?